March 17th 2015 - The end of one era or is the beginning of another ? Tuesday 17th March 2015, St Patrick's Day, we clebrated the 30th anniversary of the legendary Paddy Goes To Holyhead. Over the past 30 years I've had the great pleasure of working with some of the best in the music business, plus a few knob heads! there seems to a bit of a Sweet trend going on here... Syd Twynham (Les Gray's Mud), Pete Bullick (Deborah Bonham Band). 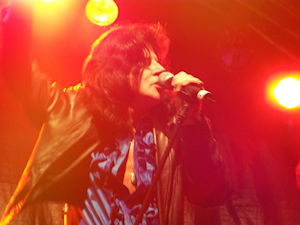 I have had a host of great "guests" join in the fun from time to time, including the late great Mel Galley (Whitesnake and Trapeze) Neil Murray, Dave Murray (Iron Maiden), Don Powell and Dave Hill (Slade), Bernie Shaw (Uriah Heep), Debbie and Jason Bonham, Mitch Perry (Lita Ford Band), Nigel Mogg, Danny and Luke (Thunder) and Reuben Archer(Stampede), former Thin Lizzy members Brian Robertson, Eric Bell and Darren Wharton to name but just a few. When I formed the band back in 1985 and played the first "offical" gig at The Greyhound, Fulham Palace Road, London, I never imagined it would last this long. But now with the logistics of living in Sweden, mine and other band members commitments, it's getting harder and harder to organise gigs and feel I'm losing the fun element, which is what Paddy is all about! So it's with a heavy heart I have decided it's time to say a fond 'Farewell To Paddy'. To celebrate the end of an era we played our final show at Merton Manor Club on St Patrick's Day, Tuesday 17th March. 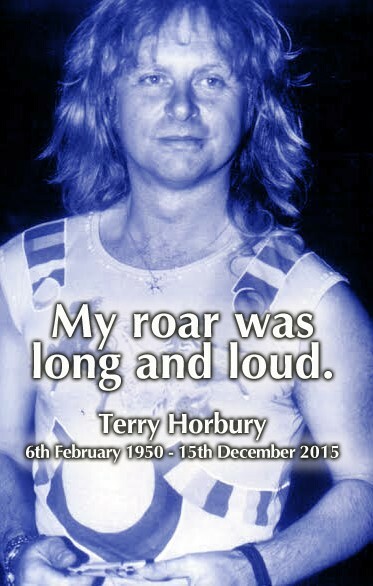 February 6th 2015 - The band reformed to play a memorial show on what have been the birthday of our former bass player, Terry Horbury, who sadly passed away on the 15th December 2015. A victim of the beast that is Cancer! Following the success of the evening I decide it would be nice to have an 'annual reunion' on St Patrick's Day each year. Watch this space for details..
and is sponsored by www.sweetlife.dk. (C) Danny Hynes 1984-2015 All rights reserved.